For the Android distribution, see CyanogenMod. Cyanogen is the chemical compound with the formula (CN)2. It is a colorless, toxic gas with a pungent odor. The molecule is a pseudohalogen. Cyanogen molecules consist of two CN groups – analogous to diatomic halogen molecules, such as Cl2, but far less oxidizing. The two cyano groups are bonded together at their carbon atoms: N≡C−C≡N, although other isomers have been detected. Certain derivatives of cyanogen are also called "cyanogen" even though they contain only one CN group. For example, cyanogen bromide has the formula NCBr. Alternatively, one can combine solutions of copper(II) salts (such as copper(II) sulfate) with cyanides, an unstable copper(II) cyanide is formed which rapidly decomposes into copper(I) cyanide and cyanogen. Industrially, it is created by the oxidation of hydrogen cyanide, usually using chlorine over an activated silicon dioxide catalyst or nitrogen dioxide over a copper salt. It is also formed when nitrogen and acetylene are reacted by an electrical spark or discharge. Paracyanogen can be best prepared by heating mercuric cyanide. It can also be prepared by heating silver cyanide, silver cyanate, cyanogen iodide or cyanuric iodide. It can also be prepared by the polymerization of cyanogen at 300 to 500 °C (572 to 932 °F) in the presence of trace impurities. Paracyanogen can also be converted back to cyanogen by heating to 800 °C (1,470 °F). Based on experimental evidence, the structure of this polymeric material is thought to be rather irregular, with most of the carbon atoms being of sp2 type and localized domains of pi conjugation. Cyanogen was first synthesized in 1815 by Joseph Louis Gay-Lussac, who determined its empirical formula and named it. Gay-Lussac coined the word "cyanogène" from the Greek words κυανός (kyanos, blue) and γεννάω (gennao, I create), because cyanide was first isolated by the Swedish chemist Carl Wilhelm Scheele from the pigment "Prussian blue". By the 1850s, cyanogen soap was used by photographers to remove silver stains from their hands. It attained importance with the growth of the fertilizer industry in the late nineteenth century and is still an important intermediate in the production of many fertilizers. It is also used as a stabilizer in the production of nitrocellulose. Cyanogen is a highly toxic compound, and in 1910 a spectroscopic analysis of Halley's Comet found cyanogen in the comet's tail. This led to public fear that the Earth would be poisoned as it passed through the tail. Because of the extremely diffuse nature of the tail, there was no effect when the planet passed through it. Like other cyanides, cyanogen is very toxic, as it readily undergoes reduction to cyanide, which poisons the cytochrome c oxidase complex, thus interrupting the mitochondrial electron transfer chain. Cyanogen gas is an irritant to the eyes and respiratory system. Inhalation can lead to headache, dizziness, rapid pulse, nausea, vomiting, loss of consciousness, convulsions, and death, depending on exposure. Lethal dose through inhalation typically ranges from 100 to 150 milligrams (1.5 to 2.3 grains). Inhalation of 900 ppm over a period of 10 minutes is considered lethal. Cyanogen produces the second-hottest-known natural flame (after carbon subnitride) with a temperature of over 4,525 °C (8,177 °F) when it burns in oxygen. 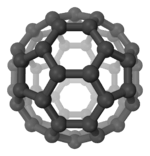 1 2 "oxalonitrile (CHEBI:29308)". Chemical Entities of Biological Interest. UK: European Bioinformatics Institute. 27 October 2006. Main. Retrieved 6 June 2012. 1 2 3 NIOSH Pocket Guide to Chemical Hazards. Department of Health and Human Services, Centers for Disease Control, National Institute for Occupational Safety & Health. September 2007. p. 82. 1 2 The Merck Index (10th ed.). Rahway, NJ: Merck & Co. 1983. p. 385. 1 2 3 4 5 6 "NIOSH Pocket Guide to Chemical Hazards #0161". National Institute for Occupational Safety and Health (NIOSH). ↑ Ringer, A. L.; Sherrill, C. D.; King, R. A.; Crawford, T. D. (2008). "Low-lying singlet excited states of isocyanogen". International Journal of Quantum Chemistry. 106 (6): 1137–1140. Bibcode:2008IJQC..108.1137R. doi:10.1002/qua.21586. 1 2 Greenwood, Norman N.; Earnshaw, Alan (1997). Chemistry of the Elements (2nd ed.). Butterworth-Heinemann. pp. 320–321. ISBN 0-08-037941-9. ↑ Brotherton, T. K.; Lynn, J. W. (1959). "The Synthesis And Chemistry Of Cyanogen". Chemical Reviews. 59 (5): 841–883. doi:10.1021/cr50029a003. ↑ Bircumshaw, L. L.; F. M. Tayler; D. H. Whiffen (1954). "Paracyanogen: its formation and properties. Part I". J. Chem. Soc. : 931–935. doi:10.1039/JR9540000931. ↑ Maya, Leon (1993). "Paracyanogen Reexamined". Polymer Science: Part A. 31: 2595–2600. ↑ Gay-Lussac, J. L. (1815). "Recherches sur l'acide prussique". Annales de Chimie. 95: 136–231. Gay-Lussac names cyanogen on p. 163. ↑ Crookes, William, ed. (1859). "Photographic News: A Weekly Record of the Process of the Photography": 11–11. ↑ Muir, G. D., ed. (1971). 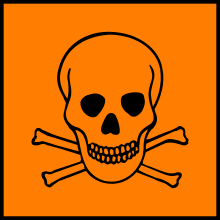 Hazards in the Chemical Laboratory. London: The Royal Institute of Chemistry. ↑ Ledgard, Jared (2006). A Laboratory History of Chemical Warfare Agents. Lulu.com. ISBN 0615136451. p. 82. ↑ Thomas, N.; Gaydon, A. G.; Brewer, L. (1952). "Cyanogen Flames and the Dissociation Energy of N2". The Journal of Chemical Physics. 20 (3): 369–374. Bibcode:1952JChPh..20..369T. doi:10.1063/1.1700426. ↑ J. B. Conway; R. H. Wilson Jr.; A. V. Grosse (1953). "THE TEMPERATURE OF THE CYANOGEN-OXYGEN FLAME". Journal of the American Chemical Society. 75 (2): 499. doi:10.1021/ja01098a517. Wikimedia Commons has media related to cyanogen.